All though this pouch has sold my other handmade pouches are available at my Etsy Store. 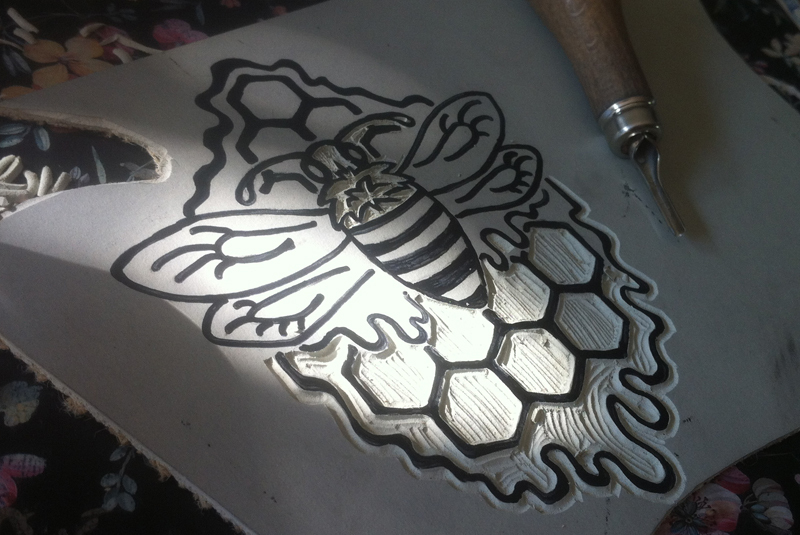 I embossed the leather patch on this pouch with a hand carved bee and honey stamp on my etching press, see the last photo. The patch was then hand painted with black and gold acrylics and sewn onto the pouch by hand using black cotton thread. 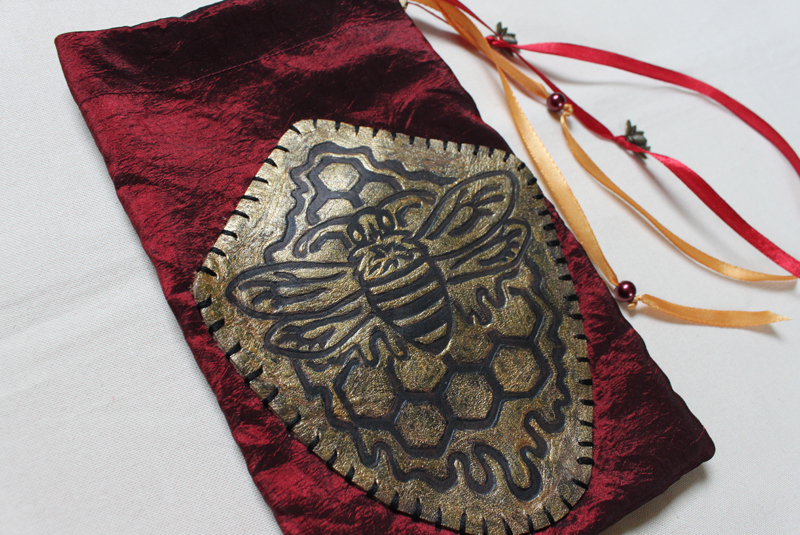 The outer fabric of the pouch is a deep red taffeta and it is lined with a gold coloured poly-satin. 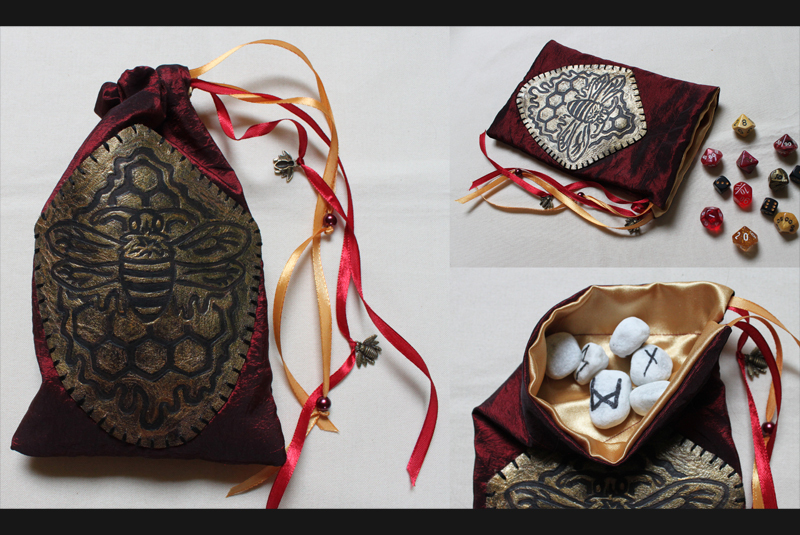 I finished the pouch with red and gold coloured poly-satin ribbons. The ribbons are decorated with metal bee charms and red pearlesque glass beads, see the third image. 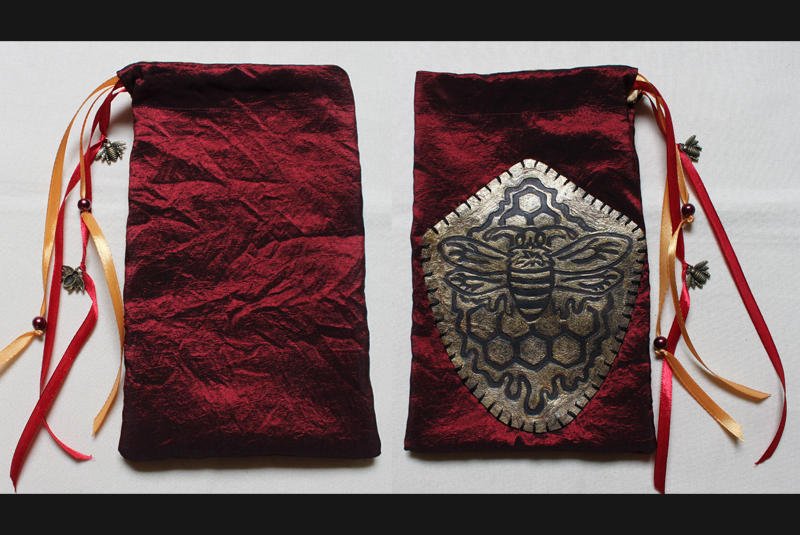 The embossing on this pouch was inspired by the beautiful honey bees and the delicious honey they make. 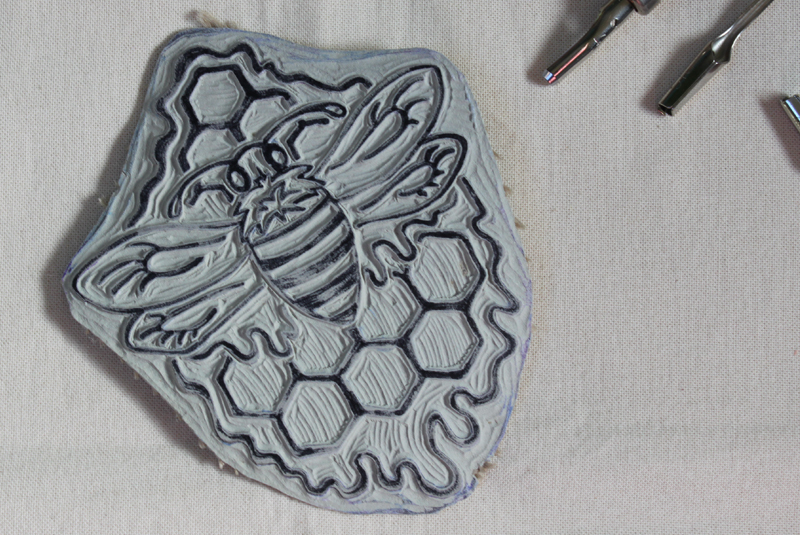 The colouring was inspired by the royalty of bees. Bee good to the Bees!! !